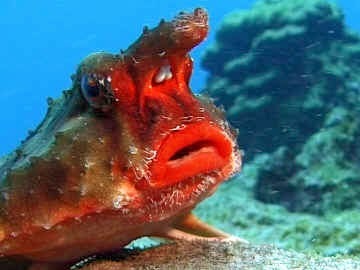 A couple years ago, I made a post about the red-lipped batfish (Ogcocephalus Darwini), a weird looking fish that is best known for its bright red lips and for its highly adapted fins, that allow it to walk on the ocean floor. Now, the time has come to examine a similarly looking and closely related species, the Rosy-Lipped Batfish. There is little research behind this strange creature, so this is gonna be a relatively short post. The Rosy-Lipped Batfish can be found in the waters surrounding the Cocos Island, off the shore of Costa Rica, hence the species other common name "Cocos batfish". It inhabits sand and rubble substrate and occurs in depths ranging from 35 to 150 m (114-494 ft). Similarly to the red-lipped batfish, the bright red lips are the most distinctive characteristic of the rosy-lipped batfish. The fish has a depressed head that is elevated above the disk-shaped body and a pointed snout, with a horn-like rostrum, projecting well forward between the eyes. The body is covered by leathery skin and features protruding bony spines on the back, unlike the red-lipped batfish that has a smooth back. Individuals have an average length of about 15 cm (6 in.). Like the red-lipped batfish, they have highly modified pectoral and pelvic fins, which allow them to walk on the ocean floor. When swimming, they are slow and clumsy. 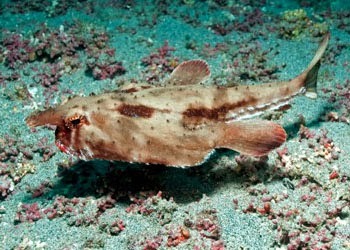 On a side note, the spotted handfish walks and swims in a similar fashion. The Cocos batfish is carnivorous, with its eat diet consisting of benthic worms, crustaceans (like shrimps & crabs), gastropods and small fish. Currently, the species has no known major threats. Populations seem to be stable and in 2010 it was listed as of Least Concern by the IUCN. 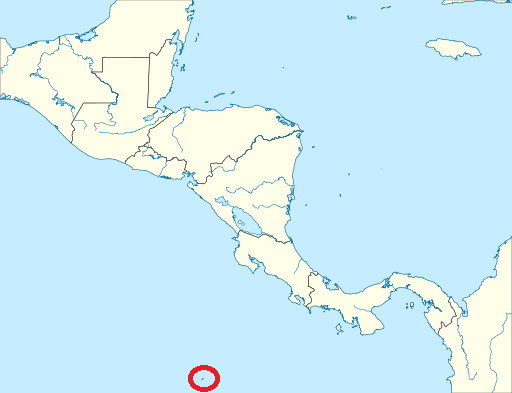 In addition, the Cocos Island is designated as a National Park and the species distribution falls entirely within the Marine Protected Area of Cocos Island. Finally, researchers believe that the species's populations are unlikely to be negatively impacted by future climate changes, due to the great depths it occurs . Considering the above, the rosy-lipped batfish appears to have a bright feature, despite its very restricted range. - Lea, B., Béarez, P. & McCosker, J. 2010. Ogcocephalus porrectus. The IUCN Red List of Threatened Species. Version 2014.2. <www.iucnredlist.org>.